A very powerful auroa over the fjord Ersfjordbotn, close to Tromsø, on sept.5th,2012. This special aurora has a shape which reminds of a dragon. 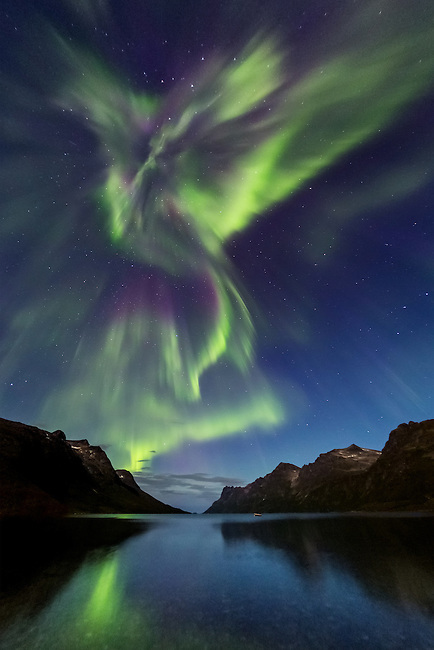 The head of the dragon is made by a "coronal aurora".